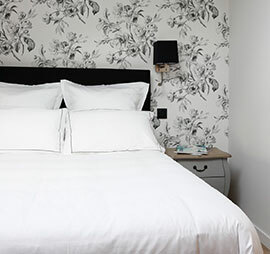 Each room of the Domaine is individually decorated. From the intimate and cozy room to the junior suite with a terrace of 50 m2, each room has a soul, an atmosphere, an emotion. View over the vineyards or view of the forest, nature is omnipresent and guarantees you peace and quiet! Flat screen TV, Nespresso machine, air conditioning, safe and wifi access, the charm coexists with modernity. 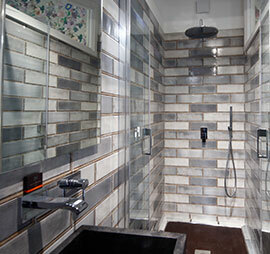 The bathrooms are equipped with a walk-in shower and / or bathtub and a hairdryer. Welcome amenities, bathrobes and slippers are provided with care and attention to detail. Feel free to send us your desires, we will advise you in order to reserve the room that corresponds to you. Italian shower, view of the vineyards, intimate and cozy atmosphere, this room is ideal for spending a few days as a lover and recharge (bathroom open on the room). Italian shower, panoramic view of the vineyards or the garden. Between 29 and 42 m2, with a walk-in shower or a bath, a large terrace and stunning views of the garden. Suite of 60 m2 with king size beds, a walk-in shower and bathtub, with large window with a view of the garden.